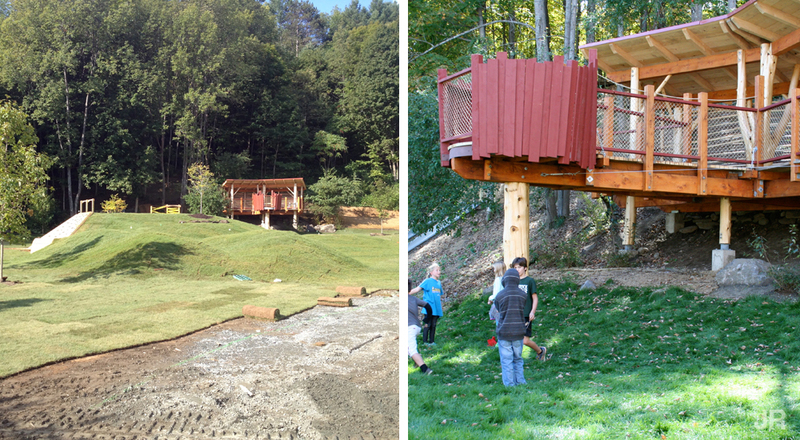 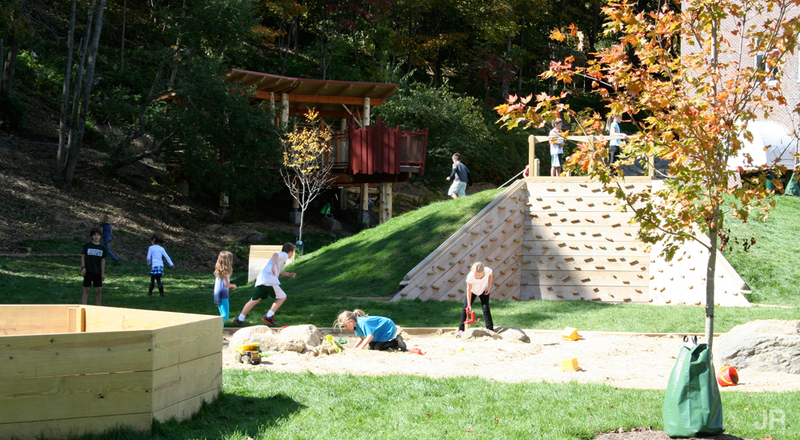 WES’s ‘Hands on the Land’ is an interactive 3-acre landscape in which children of all ages, backgrounds, and physical abilities can play, explore, and learn. 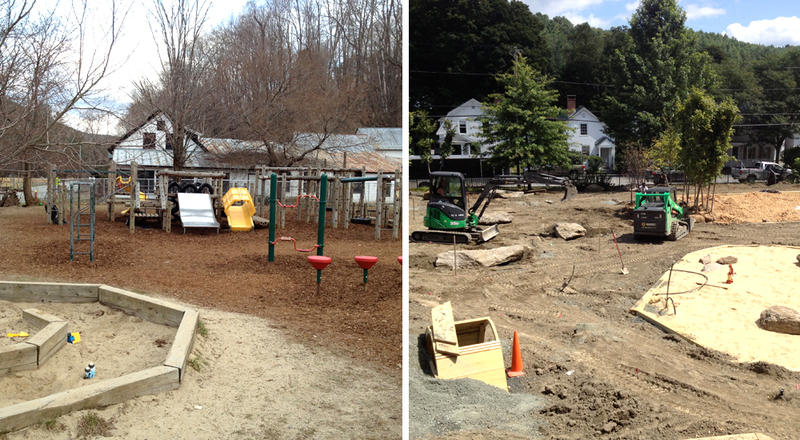 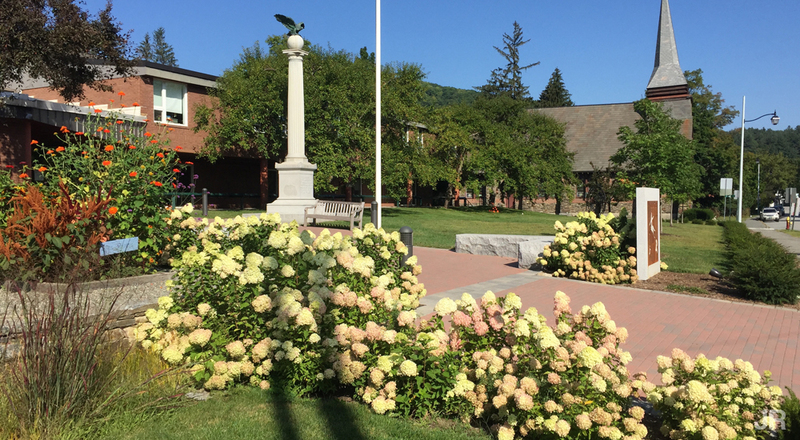 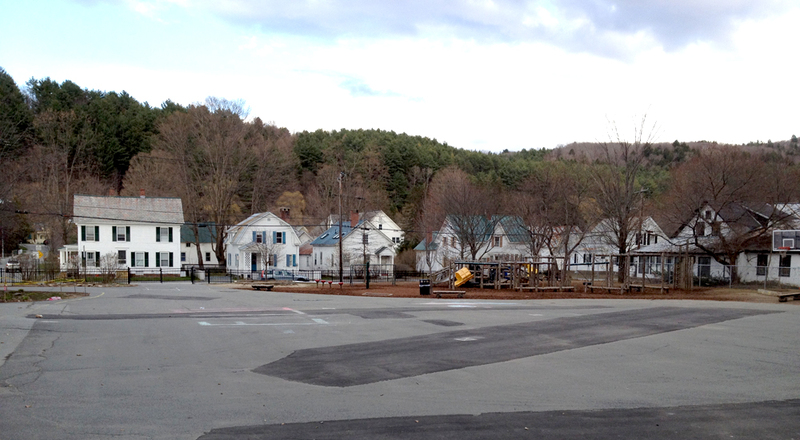 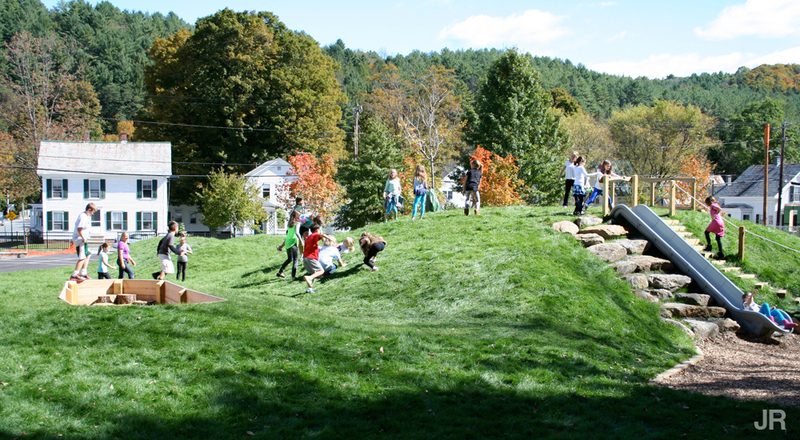 The former asphalt and chain link fence bounded property was transformed into a vibrant community green space that echoes Vermont values: tranquil, respectful of the environment, natural, authentic, and beautiful, while complementing the nearby village green, national park, and Billings Farm. 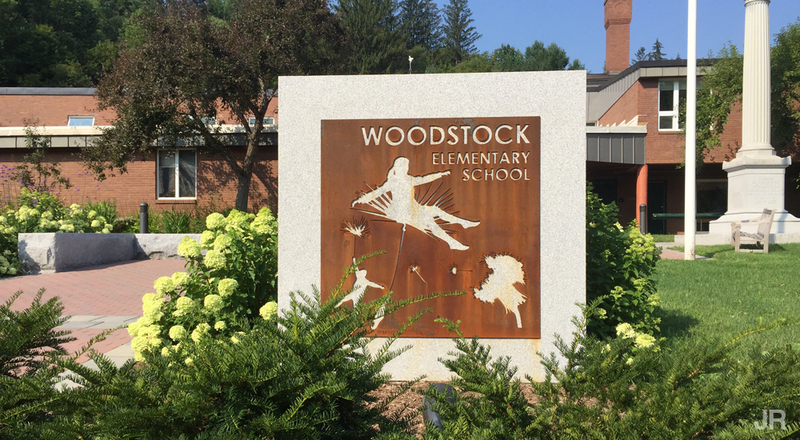 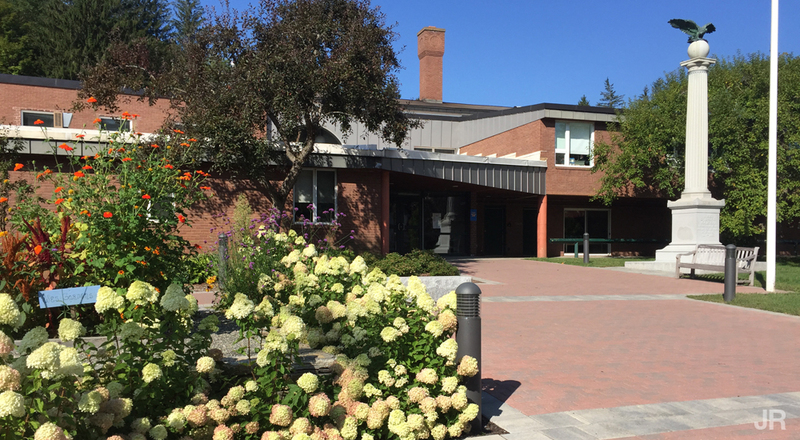 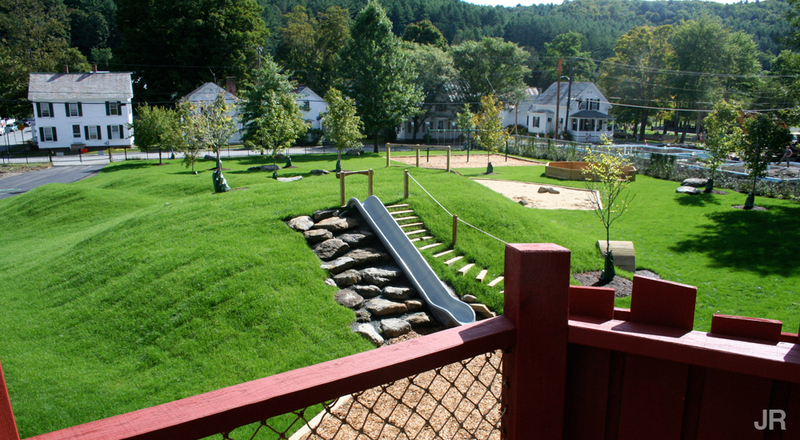 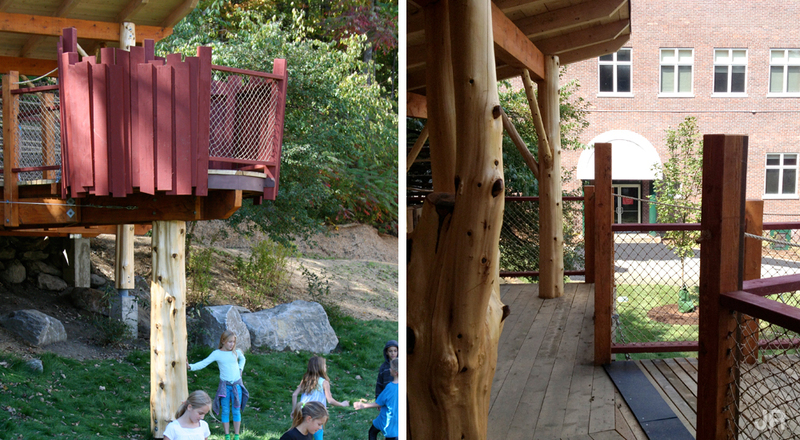 The design focused on improving the school’s street presence through innovative use of new hardscape materials, plantings, signage, and sculpture; improving vehicular and pedestrian circulation and safety; and collaborating with the playground designer to convert the existing playground and grounds surrounding the building into a natural learning landscape.